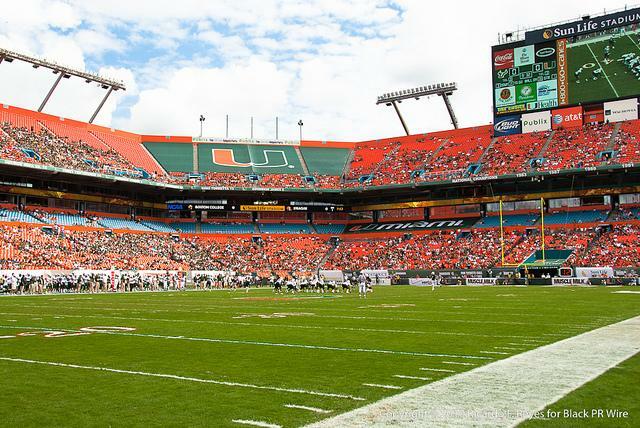 Miami-Dade voters could decide if public funds are used to renovate Sun Life Stadium. 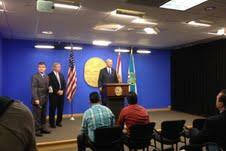 The county mayor and the CEO of the Miami Dolphins held a joint news conference Monday to discuss the proposal. Miami-Dade Mayor Carlos Gimenez told reporters negotiations between the county and the Dolphins haven't even started yet. He says a deal must be in place before any referendum would be put before the voters. "If you don't get the support of the voters, you don't get the deal, period," said Gimenez. "It's a binding referendum. It's not a straw ballot." He stressed that this agreement would be nothing like the arrangement with the Miami Marlins, which he opposed. "That was a bad deal, and a lot of things were kept in the dark," said Gimenez. "I don't deal that way, and I'm sure the Dolphins don't deal that way also." He says to support the agreement he'd have to see quantifiable benefits for the public, and that could include the NFL awarding a Super Bowl to the stadium. Miami Dolphins CEO Mike Dee (at the podium) addresses reporters Monday. The Dolphins have proposed using private funds to cover just over half of the $400 million renovations. The rest would be paid for through an increased hotel tax for most of Miami Dade and a subsidy on sales tax for items purchased at the stadium. Dolphins CEO Mike Dee says he's confident the public will support the deal because it would provide, "no new taxes for Miami-Dade County residents." He also points to team owner, Stephen Ross, agreeing to put up more than half of the funding as a strong selling point, but Gimenez says he'd like to see Ross contribute a larger percentage. "He started at 51," said Gimenez. "That's great. I don't believe we're going to end up at 51 percent, but again, we haven't started negotiations. I know who my bosses are. I know what side of the table I'm on. I'm on the side of the residents of Miami-Dade County." Both the Dolphins and the county are facing a bit of a time crunch. Gimenez says some sort of agreement would have to be in place by mid March in order for a referendum to take place before the NFL decides on Super Bowl 50. The league will announce the location of that game in late May. SunLife Stadium, which I will forever lovingly call Joe Robbie Stadium, in honor of the man who built it, on his own, with no public funding, is in need of some sprucing up. The current owner is asking for public money to help in this endeavor. A public that is very wary of rich team owners asking for financial help—think Marlins. So, is this a replay of a Greek tragedy? 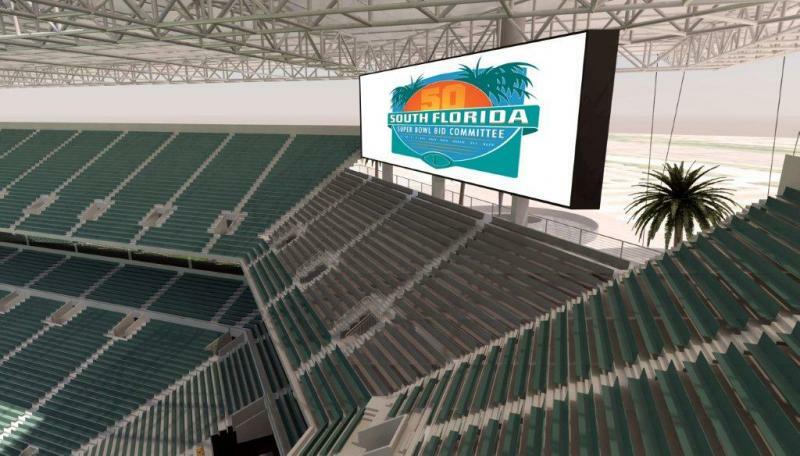 Should Public Money Fund Sun Life Stadium Upgrades? Marlins are no help for Dolphins. The proposal by the Miami Dolphins to fund approximately $400 million in stadium renovations through county hotel taxes and state general funds is not getting a warm reception. And it’s probably not because of reports by economists showing that events like the Super Bowl don’t contribute significantly to the host communities. As Miami-Dade commissioners sit down to talk about the public's role for the first time today, the National Football League is offering its support to help Miami Dolphins owner Stephen Ross pay for improvements to Sun Life Stadium. The Dolphins have been reluctant to talk about the idea but are hinting that the NFL's contribution is contingent upon public help first. The Miami Herald reports today the amount is unclear, but could be in the tens of millions of dollars.